If you have a budding scientist on your hands, you no doubt appreciate watching their wide-eyed discovery of the natural world and their efforts to unlock the mysteries of the universe. You also probably hear the words, “But, why?” a lot! Below we’ve gathered 10 tried-and-true science experiments, with something to captivate any young Einstein aged from three to tween. 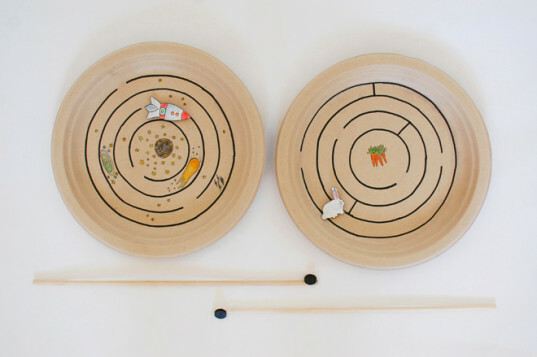 All the experiments use simple, readily available household materials or foodstuffs, and will be made even more engaging by applying the scientific method to the process to really get kids thinking about what’s happening. Let’s start out with something spectacular, shall we? 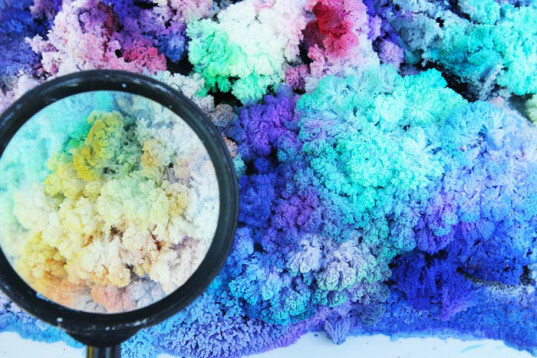 This gorgeous crystal landscape project from Babble Dabble Do uses simple household products such as sponges, salt and laundry blue, and will keep kids enthralled for around five days as the crystals grow into their final form. Fascinating! 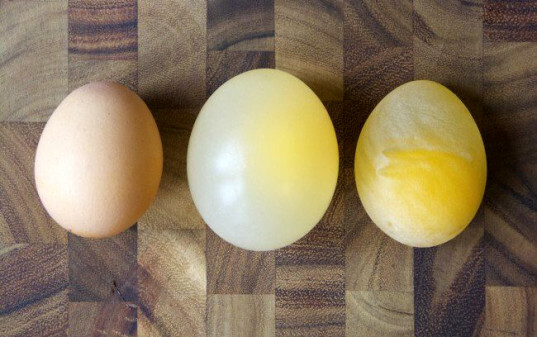 Playdough to Plato‘s astounding three-stage science experiment uses an egg to teach kids about the process of osmosis. Along the way they get to be surprised when the fragile-looking egg confounds expectations about when it will or will not break. Especially good for four- to six-year-olds, this charming project from My Cakies teaches children about the magic of magnetism. The lovely illustrations are downloadable printables, and if they survive their trip through the maze, they can be recycled as fridge magnets. Do you connect the scent of lemon with the color yellow? This oh-so-simple project from Left Brain Craft Brain will give your child a valuable life lesson on the vagaries of perception. 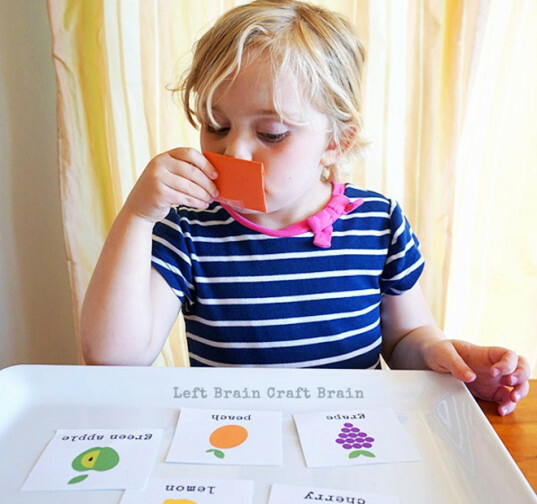 Left Brain Craft Brain also gives helpful, step-by-step guidelines to following the scientific method that will set your child in good stead for applying it to other experiments. 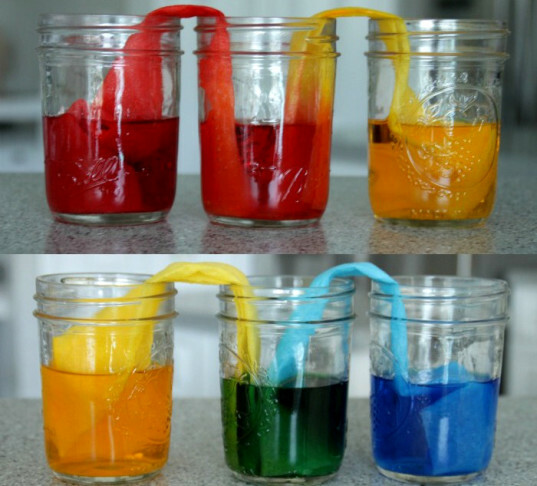 One of the simplest (and fastest) experiments in this list, this demonstration of both capillary action and color mixing transforms ordinary materials into something wonderful right before your eyes! Coffee Cups and Crayons has easy-to-follow step-by-step instructions, and this video shows just how elaborate you can make the experiment. I wanted a lava lamp so badly when I was a kid—if only I had known how easy it was to make one myself! The great thing about this experiment is that kids can repeat the process over and over, and when they tire of it, you can pop a lid on the bottle and put the lamp aside to play with again another day. Check out Inhabitots’ very own lava lamp DIY here, and this video shows the awesome experiment in action. 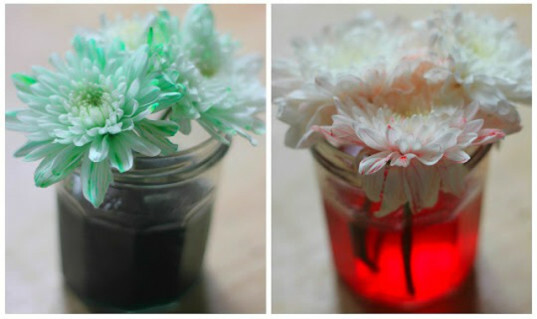 There’s more to a flower than meets the eye, and this easy experiment to demonstrate plants’ vascular systems reveals that clearly in living color. The Imagination Tree explains how to perform this experiment using either white flowers or celery sticks. Red Tricycle ups the ante with a more complex process that results in a two-tone flower (warning: sharp knife and a steady hand involved for the latter). 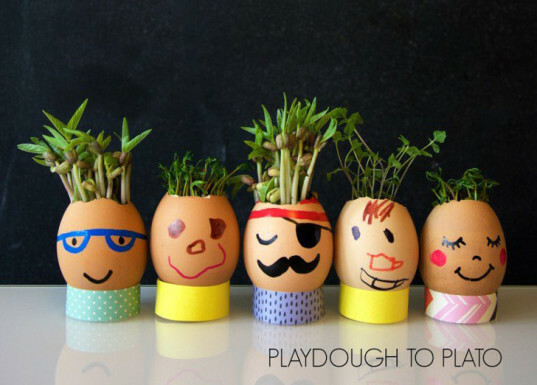 Part craft project, part science project, these cute little egg head seed germinators from Playdough to Plato are a great way to introduce kids to the concepts of germination, life cycles, nutrition and where their food comes from. Choose a variety of large and small seeds to illustrate different growth habits: peas, sunflowers, wheat, kale, and chives or onions will give a good variety of “hair,” and arugula and radishes will often sprout within 24–36 hours to give quick results. Oooh, Oobleck! So simple to make, yet so bizarre! 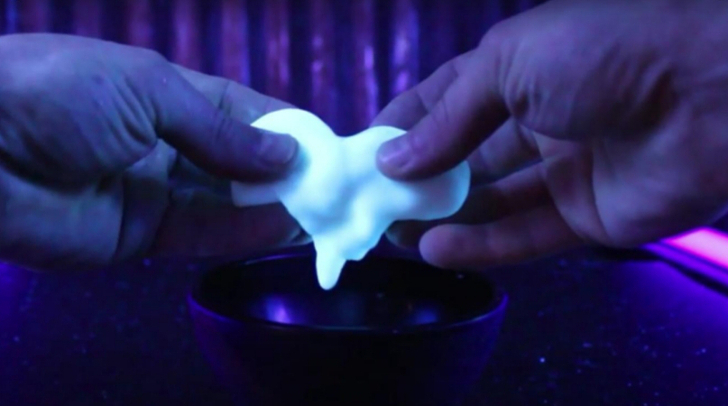 This DIY from The King of Random turns it up to 11 by not only showing you how to make Oobleck from scratch using potatoes, but also how to make it glow in the dark under black light, simply by using tonic water instead of regular water. My suggestion? Put the black light globe in the bathroom where it will be easier to clean up the inevitable mess afterwards! If you want to take the shortcut and make your Oobleck from a more conventional cornstarch base, you can still keep it interesting with this fun experiment with sound waves from Housing a Forest. By placing your Oobleck on a tray on top of a subwoofer, you can make it “dance” with the vibration of the sound waves. 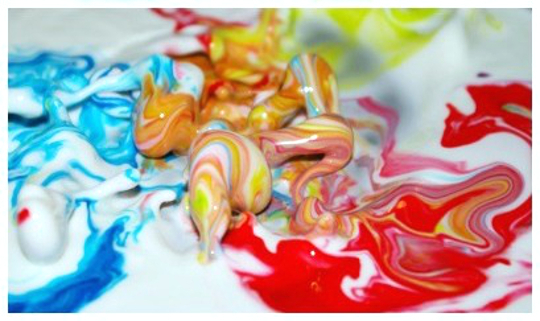 Then add drops of food coloring to reveal just how dynamic it is! If your child is particularly enthralled by science (or you would like to give them an encouraging nudge in that direction), check out Camp Google for a free, four-week program of online science activities and experiments covering the themes of oceans, space, nature and music for children up to 10 years of age. Program partners include National Geographic, Khan Academy and the National Park Service, with input from NASA too. Lead image via Babble Dabble Do. Photos by 1. Babble Dabble Do, 2. Playdough to Plato, 3. My Cakies, 4. Left Brain Craft Brain, 5. Coffee Cups and Crayons, 6. Jennie Lyon for Inhabitots, 7. The Imagination Tree, 8. Playdough to Plato, 9. YouTube screenshot from The King of Random, 10. Housing a Forest. If you have a budding scientist on your hands, you no doubt appreciate watching their wide-eyed discovery of the natural world and their efforts to unlock the mysteries of the universe. You also probably hear the words, "But, why?" a lot! Below we've gathered 10 tried-and-true science experiments, with something to captivate any young Einstein aged from three to tween. All the experiments use simple, readily available household materials or foodstuffs, and will be made even more engaging by applying the scientific method to the process to really get kids thinking about what's happening. Let's start out with something spectacular, shall we? This gorgeous crystal landscape project from Babble Dabble Do uses simple household products and will keep kids enthralled for around five days as the crystals grow into their final form. Fascinating! Playdough to Plato's astounding three-stage science experiment uses an egg to teach kids about the process of osmosis. Along the way they get to be surprised when the fragile-looking egg confounds expectations about when it will or will not break. 5. Capillary action with "walking water"
I wanted a lava lamp so badly when I was a kid—if only I had known how easy it was to make one myself! The great thing about this experiment is that kids can repeat the process over and over, and when they tire of it, you can pop a lid on the bottle and put the lamp aside to play with again another day. 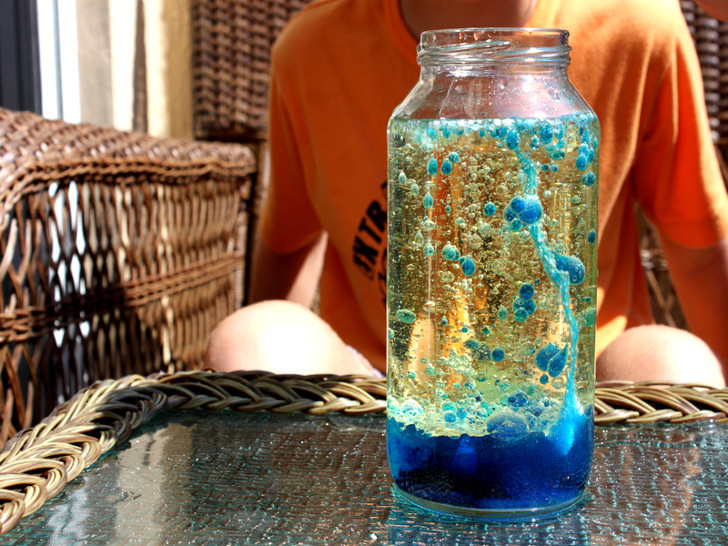 Check out Inhabitots' very own lava lamp DIY here, and this video shows the awesome experiment in action. There's more to a flower than meets the eye, and this easy experiment to demonstrate plants' vascular systems reveals that clearly in living color. The Imagination Tree explains how to perform this experiment using either white flowers or celery sticks. Red Tricycle ups the ante with a more complex process that results in a two-tone flower (warning: sharp knife and a steady hand involved for the latter). Part craft project, part science project, these cute little egg head seed germinators from Playdough to Plato are a great way to introduce kids to the concepts of germination, life cycles, nutrition and where their food comes from. Choose a variety of large and small seeds to illustrate different growth habits: peas, sunflowers, wheat, kale, and chives or onions will give a good variety of "hair," and arugula and radishes will often sprout within 24–36 hours to give quick results. If you want to take the shortcut and make your Oobleck from a more conventional cornstarch base, you can still keep it interesting with this fun experiment with sound waves from Housing a Forest. By placing your Oobleck on a tray on top of a subwoofer, you can make it "dance" with the vibration of the sound waves. Then add drops of food coloring to reveal just how dynamic it is!